MOSCOW, Dec. 28 (Xinhua) -- Russia does not fully understand why the United States decided to withdraw troops from Syria, but thinks Washington may shift its responsibility in the war-torn country to allies, Foreign Minister Sergei Lavrov said Friday. "It looks like Washington wants to shift the responsibility onto its partners in the coalition on the ground, as there are also servicemen from France, Britain and Germany deployed there illegitimately, as well as air forces of the coalition," Lavrov said at a press conference after talks with his Jordanian counterpart Ayman Safadi. 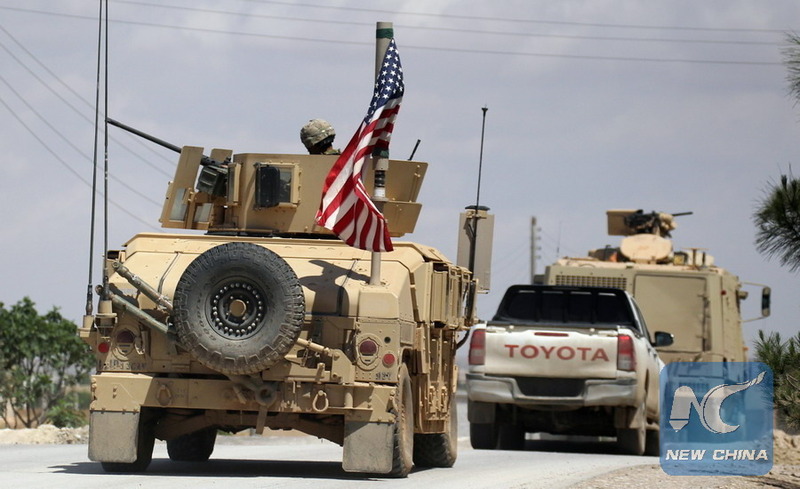 The administration of U.S. President Donald Trump announced on Dec. 19 that it was planning to withdraw U.S. troops from Syria after claiming a victory in the fight against the Islamic State (IS) terrorist group. Lavrov added that after the withdrawal, Washington may also want allies in the region to take up the main financial burden for their mission in Syria. He said that Washington's announcement has to be confirmed with real steps, as Washington has repeatedly announced its withdrawal from the al-Tanf region in southern Syria, but has failed to keep its promise so far. Trump on Wednesday paid an unannounced visit to the American soldiers stationed in Iraq, defended his controversial decision to withdraw U.S. troops from Syria and promised that he has no plan to pull the troops out of Iraq. "The United States cannot continue to be the policeman of the world.... We don't want to be taken advantage of any more by countries that use us and use our incredible military to protect them. They don't pay for it, and they're going to have to," he said soon after landed in Iraq. Moscow hoped to get explanations from Washington via available channels and expected it to confirm that the ultimate goal of all actions against terrorists in Syria is to restore its sovereignty and territorial integrity, Lavrov said. Russian President Vladimir Putin said on Dec. 20 that the establishment of the Syrian constitutional committee is reaching the final phase and that the actual political settlement in the country could start next year.